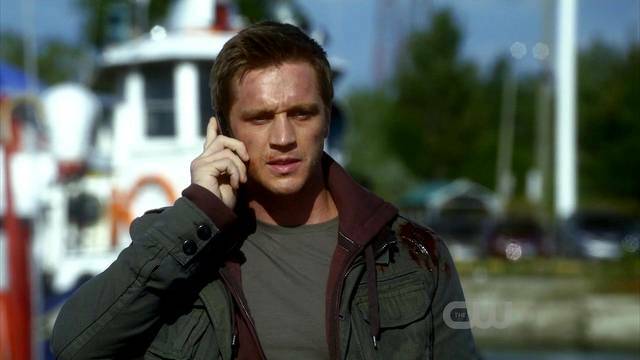 Devon Sawa has been bumped up to a series regular. 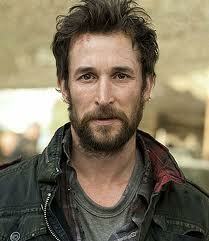 TVLine reports, the Canadian actor who has recurred on”Nikita” since the first season has been promoted. Sawa plays Owen Elliot on the CW’s drama. Related: Fall Scoop: CW Fall Premiere Dates Announced. “We are very happy about the return of Owen and looking forward to the excitement he will bring to an already exciting cast,” Nikita creator and showrunner Craig Silverstein told TVLine. “Nikita” premieres Friday, Oct. 19, at 9/8c. Fox’s new comedy, “The Mindy Project” is getting three new cast members. Amanda Setton, Stephen Tobolowsky have joined the cast of “Mindy Project” as series regular, while Ike Barinholtz will recur. “Gossip Girl” vet, Amanda Setton will play Shauna Dicanio, a Jersey-born office manager of [Mindy’s medical practice]. Setton’s character also collects unpaid patient bills. Stephen Tobolowsky, “Glee” veteran will star as Dr. Marc Shulman. Shulman is the head of Mindy’s practice. 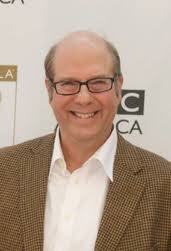 Tobolowsky joins “The Mindy Project” as a series regular. Meanwhile, a new male nurse, Morgan Tookers at Mindy’s medical practice will be played by Ike Barinholtz. Barinholtz’s character is an ex-con who was hired despite his lack of hygiene, and formal qualifications. Morgan Tookers is later described as fiercely loyal to his co-workers. The new cast join cast members Kaling, Chris Messina, Ed Weeks, Anna Camp, and Zoe Jarman.“The Mindy Project” is set to premiere Sept. 25 at 9:30/8:30c on Fox. The Skitters will be back for a third season. The critically acclaimed drama which stars Noah Wyle, Moon Bloodgood, Will Patton, Drew Roy, Connor Jessup, Colin Cunningham and Sarah Carter, has been renewed for a season of 10 episodes. The third season is slated to air in 2013. The series currently airs Sundays at 9 p.m ET on TNT. “90210” returns Monday, Oct. 8 on CW. “NCIS'” trio: Tony DiNozzo, Timothy McGee and Abby Sciuto will return for at least two more seasons. Michael Weatherly, Sean Murray and Pauley Perrette have all signed new deals with TV’s most-watched drama series, Deadline reports. Related: Fall Scoop: CBS Reveals Premiere Dates. Peet joins previously announced guest stars: Nathan Lane, Kristin Chenoweth, Maura Tierney & Marc Warren. “The Good Wife” premieres Sun, Sept. 30. CBS, America’s most-watched network just unveiled it fall premiere dates. Starting things off for the network this fall is “Survivor.” The reality series return in Philippines on Wed, Sept., 19 at 8 p.m. ET. While the remaining series will premiere during the official fall premiere week: Sept. 24 – 30. Related: CBS New Fall Series Trailers!